Home of Your Dreams, or Financial Nightmare? Buying a home is probably the largest purchase most people will ever make. It’s a complicated process, and, unfortunately, we all know someone who’s suffered buyer’s remorse. Perhaps they overpaid, or bought a lemon that rapidly became a money pit. Whatever the story, the potential for costly and emotionally upsetting problems is what makes home buying so scary for many people. That’s about to change. 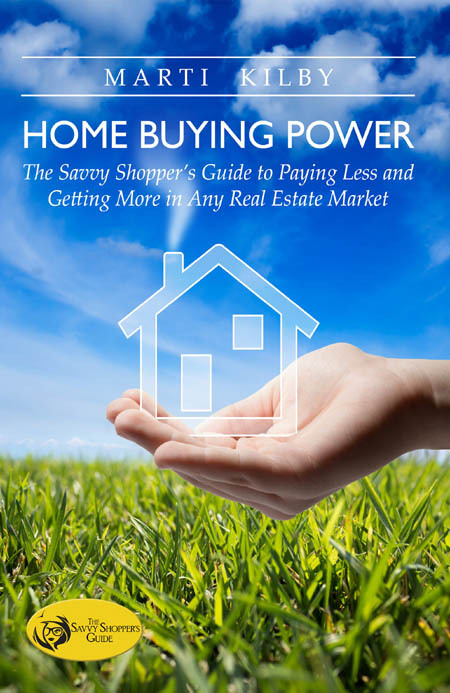 “Home Buying Power: The Savvy Shopper’s Guide to Paying Less and Getting More in Any Real Estate Market” is a step by step guide through the complete home-buying process— from pre-approval to negotiation, inspections, and closing, this book is a must-read for the smart home buyer. The book is written in chronological order, breaking the process down into chapters and identifying Savvy Shopper tips along the way that will save money and improve a homebuyer’s odds of getting the home they want. The book is highlighted by entertaining short stories of situations faced by real buyers, all based on the author Marti Kilby’s real estate experience.